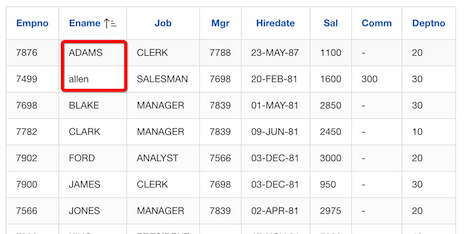 Prior to 12.2 validating dates and numbers was a bit of a pain as you had to write your own custom PL/SQL function. OOS-Utils has a quick solution to this issue and I recommend using oos_util_validation.is_number and oos_util_validation.is_date. validate_conversion will return 1 for valid conversions and 0 for invalid conversions. Note: in the next release of OOS Utils, the validation functions will use validate_conversion if your database is 12.2 or older internally. The following demo highlights this problem. The report refreshes so quickly the only way to see the problem is to look at the differnet Ajax calls. Note: the order of the Ajax responses may change since it’s asynchronous. If your report runs relatively quick you may not even notice the duplicate refresh. I had a situation where we had five cascading LOVs and the underlying report was refreshed five times and was very noticeable to the users. Thanks to Adrian Png for helping me with this. 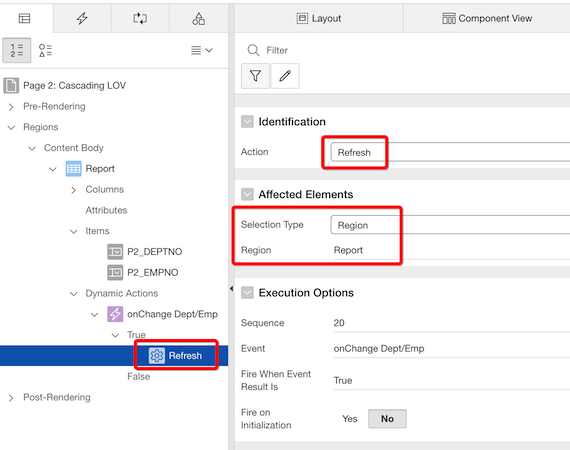 While developing standard reports in APEX I usually do the following repetitive steps. 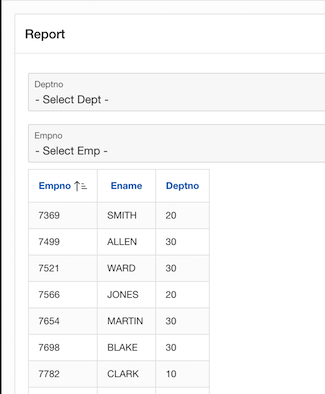 Modify something to do with the report (query, setting, attributes, source data, etc). After saving or committing my changes I refresh the page to see how it looks. This gets frustrating when doing a lot of small edits as a full page refresh is not required. You can change the icon and its settings to anything you want (i.e. by modifying the buttonHtml). You can use the APEX Icon Generator tool to generate the code for a new icon. Though not required, I highly recommend you add a Build Option (read Scott Wesley’s article - I have a Build Option called DEV_ONLY) to restrict the DA to development only. They’re certain things in life that absolutely drive me crazy. I can probably start an entire blog on this topic but instead will focus on something I see many developers do in SQL Developer. You’ll notice that my second query had an error with it so I had to select it again, then click the run button to execute it. All my releases are done via scripts. In other words I don’t deploy APEX applications from the browser, rather straight from SQLcl. Since some of my releases can take a while and puts the code in an unstable state I usually disable the application for the duration of the release. 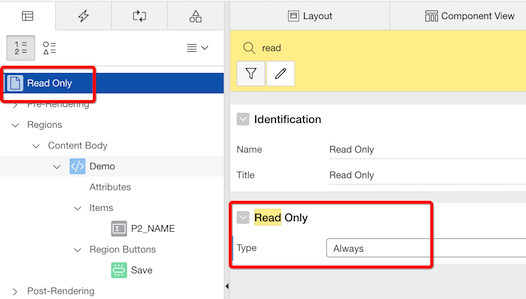 This article will show how to disable an APEX application in PL/SQL. Note: they’re various status options which allow you to determine how to define the status message. Update APEX application (this will clear the disabled setting that was manually done in the first step. If using a version lower than APEX 18.x you’ll need to install OOS Utils to create an APEX session in SQL. 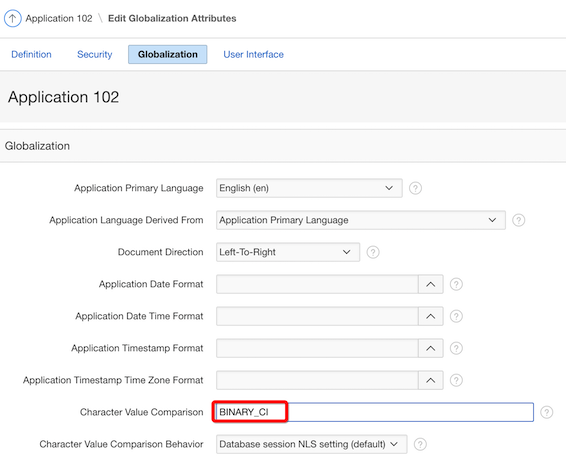 Before running the above code you’ll need to enable the runtime API by going to Shared Components > Security Attributes > Database Session > Runtime API Usage and check Modify This Application. The following code snippet will intercept the save functionality (you can inject your business rules accordingly). It’s important to note that this code must be run in the page’s Function and Global Variable Declaration section (as part of the page’s properties). A better alternative is to load it via a JS file (hint: use APEX Nitro). It will not work if you try to run it as is in your browser’s console. Warning: The following code is using undocumented features in the APEX IR JS library. Use at your discretion. I’ve commented out return this._super();. Re-enabling it will continue the function (save, remove, etc) as expected. In most cases you would wrap it in an if condition based on your requirements. The following demo shows this code in action. Both the save and delete requests don’t complete as the JS code intercepts the requests and logs some information. For all of this to work effectively ensure that all your views are written as create or replace force view view_name note the keyword force. This will ensure that the view is compiled even if it’s invalid. For very active development cycles (where a lot of the code is changing) I even have scripts to scrape both the packages and views folder and auto-inject all the file names into the release file. This way developers don’t need to worry about which packages or views were modified for a given release (nor their order/dependencies) as they will all be re-compiled. 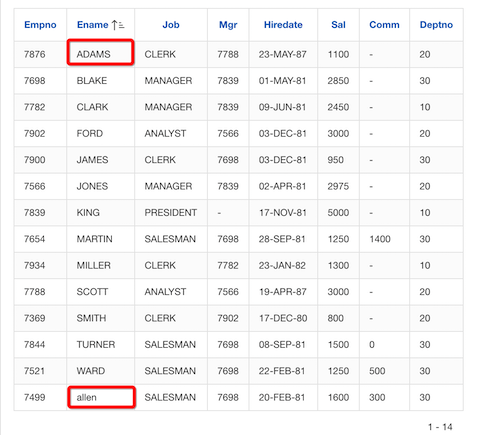 By default Oracle does case sensitive sorting, which means that ascending order goes from A-Z then a-z. This is reflected in APEX when creating reports and sorting on them. Thanks to Jorge Rimblas for showing me this! Google Chrome has a lot of great DevTools. Here are 5 tools that may help with your APEX development. 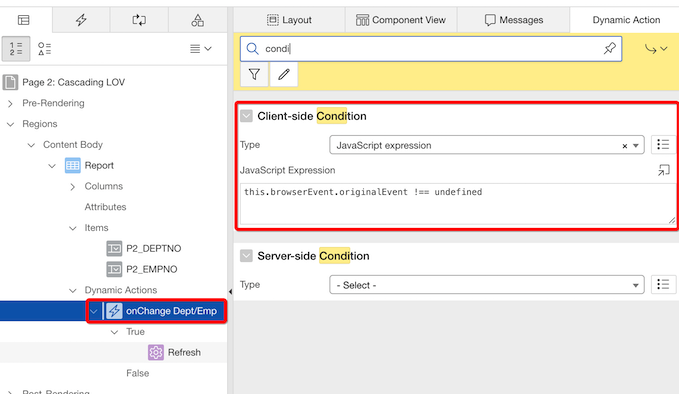 If you had a hidden APEX page item that you wanted to monitor you constantly had to go into the console and type in write out console.log(...) to view its value. This can be annoying if the value will change multiple times as you test the page. Live Expressions (introduced in Chrome 70) resolves this issue by being able to track output by updating the value every 250 milliseconds. The nice thing is that Live Expressions are preserved when you refresh a page. It’s hard to tell in the example above but I refreshed the page at one point. 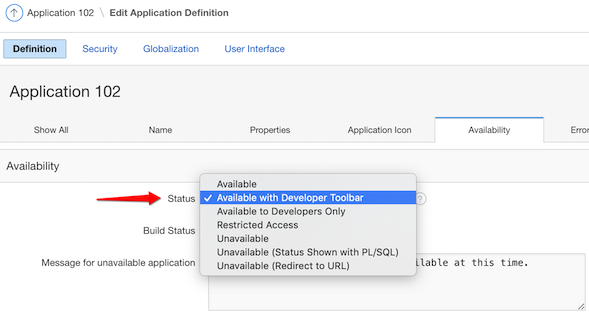 Chrome DevTools have a lot of settings and features that you may not know about, let alone know where to access. Thankfully it has the Command Menu which is like Spotlight in MacOS. Anywhere in the DevTools type Cmd+Shift+P (Windows users Ctrl+Shift+P) to enable them. These shortcut keys are the same in Visual Studio Code so developers that use VSC will be very familiar with the behavior. A long time ago I changed my editor to a dark theme. Since then a lot of applications (including APEX 19.1 and MacOS Mojave) support dark themes. Chrome DevTools now supports dark mode. A lot of times when doing basic UI / CSS debugging you may inspect an element and modify its CSS properties. When you refresh the page you lose all your changes. This is especially frustrating if doing live-CSS edits with end users to do quick proof of concepts. You can persist CSS changes using the Chrome Overrides feature. To enable this go to Sources > Overrides > + to add a folder. This can be any empty folder you want. When you do this you’ll get the following warning message. Be sure to Allow Chrome to access the folder. You’ll only need to do this setup once. If you want to quickly reset all the changes you’ve made just delete everything in your overrides folder. They’re various ways to add breakpoints to help you debug. Sometimes you know exactly where in you JS code you want to add breakpoints but don’t want to manage it via the UI. In this case you can add breakpoints directly in your code by adding the debugger; command. This won’t exactly help you with your APEX development, nor is it a DevTool feature. If you’re ever offline and really bored Chrome’s got you covered. Simply hit the spacebar when you see the dinosaur to start and use the up and down arrows to move it around.